Tired of gross chemicals in your fly repellent? Me too. Want a natural alternative? Cool, I have one. It’s a dilemma we have every summer – do we suffer the flies or load ourselves with questionable chemicals? There was a time when we would use any fly repellent that worked – it didn’t matter what it contained, as long as the bugs were away. So, I started researching alternatives to over-the-counter fly repellents, which included researching essential oils that might work, and I came up with some great information. I just wanted a simple, straight forward way to make fly repellent whenever I needed it without waiting, and using all natural ingredients that I already had on hand. 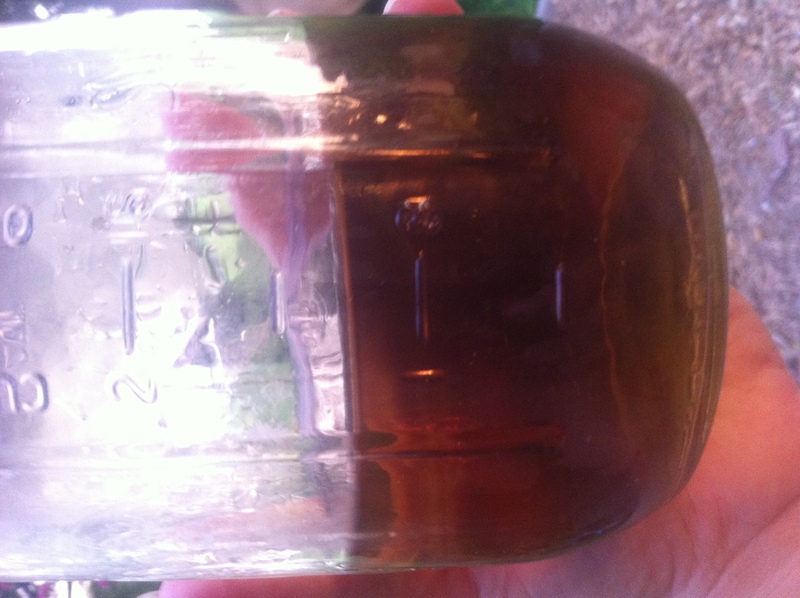 After some research, I developed an all natural fly repellent using organic herbs, and I’m going to share the recipe with you. 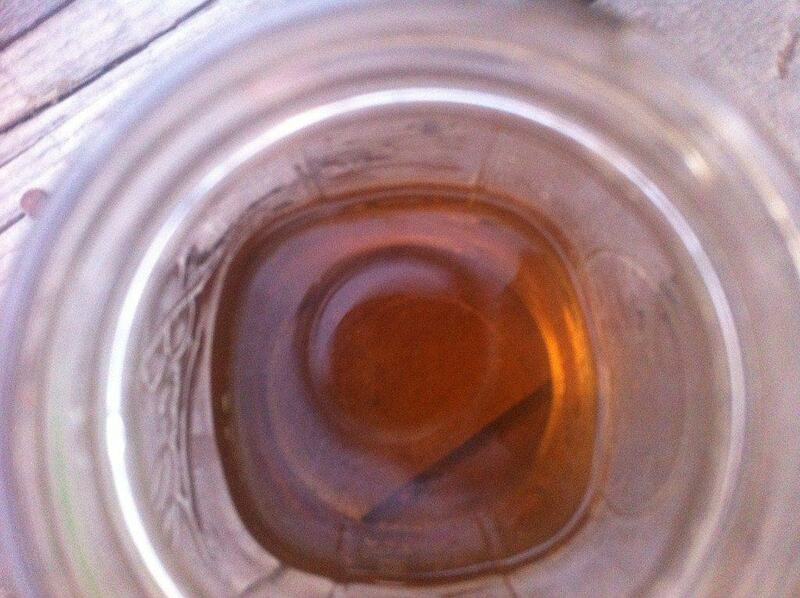 My recipe for all natural fly repellent requires 4 ingredients: Lavender, peppermint, water, and witch hazel. Just having the plants around, however, isn’t enough of a repellent – you need to release the essential oils in the plant to light a fire under its effectiveness. Luckily, that’s a pretty easy thing to do. You can make this today, in your own kitchen, with just a few ingredients. For this recipe, I used peppermint and lavender. Both are grown organically here on the homestead, and are a natural addition to any herb garden. Lavender is one of those power herbs you should have in your garden, and its been researched and proven to be a natural fly repellent on its own – I’m not sure why, but flies hate it. Lavender also has the beneficial side effects of being a natural calming agent, and its great for skin – and in fact, whenever I use this natural fly repellent, my skin is softer. 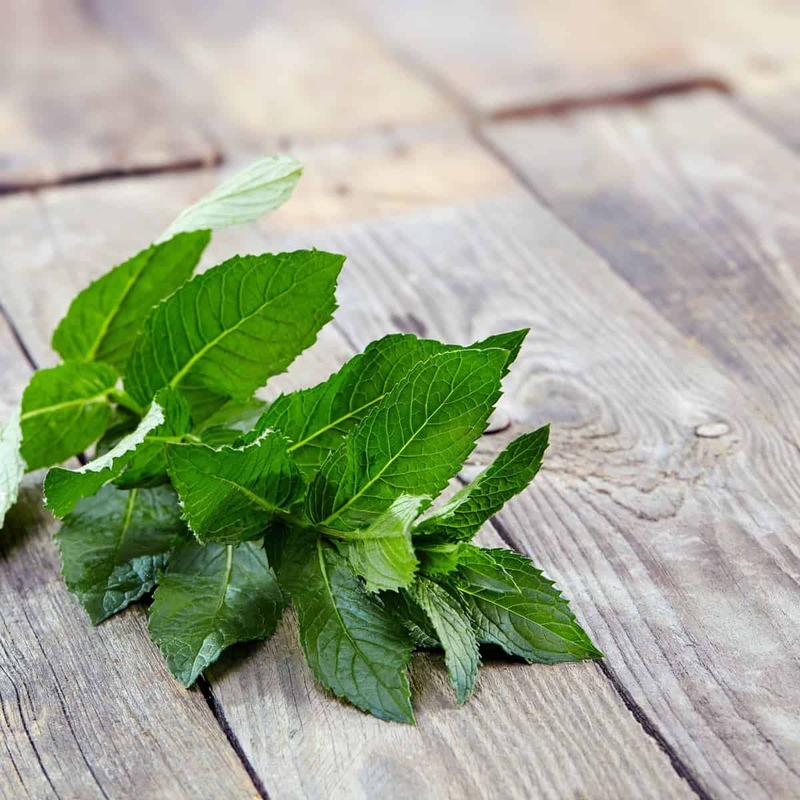 The other herb I chose to formulate a natural fly repellent is peppermint. The strong scent is reported to get rid of even the most stubborn fly. I sell it in my online store right here. Mosquitoes hate it too, making this another power herb you should have on hand to use as a natural repellent. Peppermint is great to energize you, too. I use stems containing the leaves, but it comes down to probably 3 or 4 tablespoons of herbs. I don’t recommend dry herbs for this fly repellent – they don’t have the same level of essential oils as fresh herbs because they lack the moisture content. If you’re using herbs, then the first step to creating your natural fly repellent is to release the essential oils in your herbs – they will be one of the active ingredients in your fly repellent. This is a very basic way to create an essential oil mixture, and although it’s not the method used by essential oil companies, it will work well to create a natural fly repellent. To release the herbs’ natural essential oils, you need to crush them slightly, then combine them with boiling water. 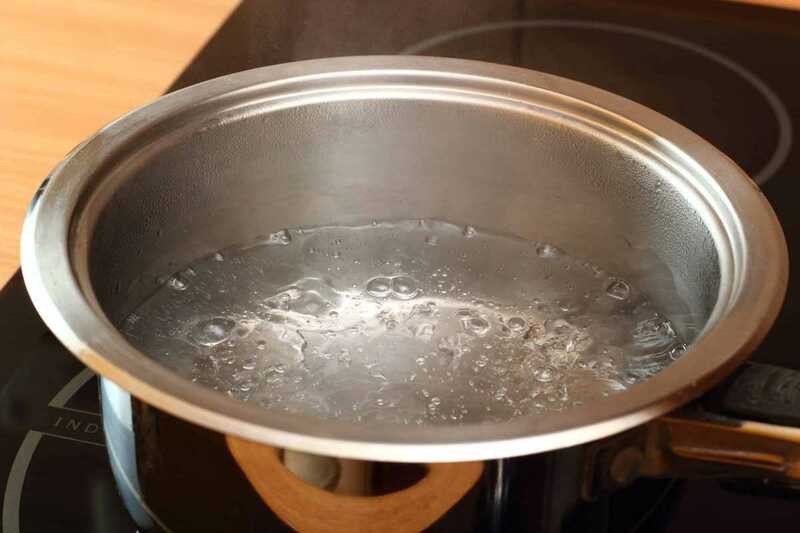 Bring 2 cups of water to a boil – not a rolling boil, however, so reduce the heat just before to gets to that point. Once it’s heated, add your herbs. To make the natural fly repellent effective, you need to release the oils in the herbs – let the herbs sit in the water until it’s cool. Yup, it’s like making tea, and it will smell great. Be sure to cover the herb mixture to keep the released essential oils in the mixture – as they release in the steam, the top will encourage the natural oils to drop back down into the water. This is important because you don’t want to lose the most effective part of your fly repellent. 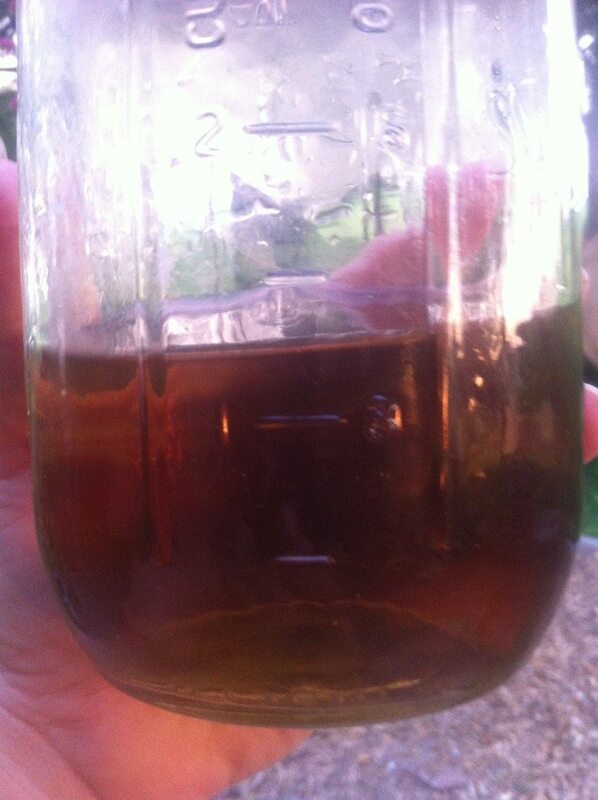 Strain the herbs from the water – I strain it into a mason jar. Now is the time to mix in your witch hazel, which will act as a binder, and keep the scent of the herbs on your skin longer. Since water is absorbed by the skin quickly, you need something, like witch hazel, that will sit on your skin longer than a few moments for the herbs to be effective in your fly repellent. For this formula, I use a 1:1 ratio, so since you’ll use 2 cups of water, add in 2 cups of witch hazel. Just dump it right into your mason jar. If you don’t like the smell of witch hazel, you can use rubbing alcohol, which is just as effective in a natural fly repellent. 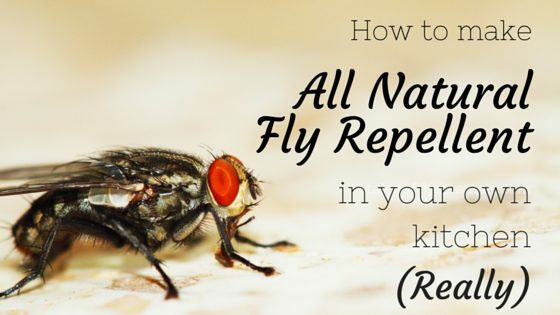 Once everything is mixed together, you have your natural fly repellent. Just pour it into a spray bottle, and it’s ready to use immediately. Spray it on yourself before heading outside – it’s safe for children too, since the herbs’ natural oils have been diluted in the water and witch hazel. Oh, yeah, and it doesn’t contain any chemicals, which is great for kids too. If you don’t like the smell of the witch hazel, you can use rubbing alcohol instead. You can use citronella as well as peppermint and lavender. I’ve used it as well, but left it out of this recipe since not everyone has it growing in their garden. You can purchase citronella essential oils to use in your fly repellent, and it works great. If you want to get citronella essential oil, by clicking here. While no fly repellent is 100% effective against bugs, going all natural is a great choice if you’re looking for an effective alternative to chemical-based products. 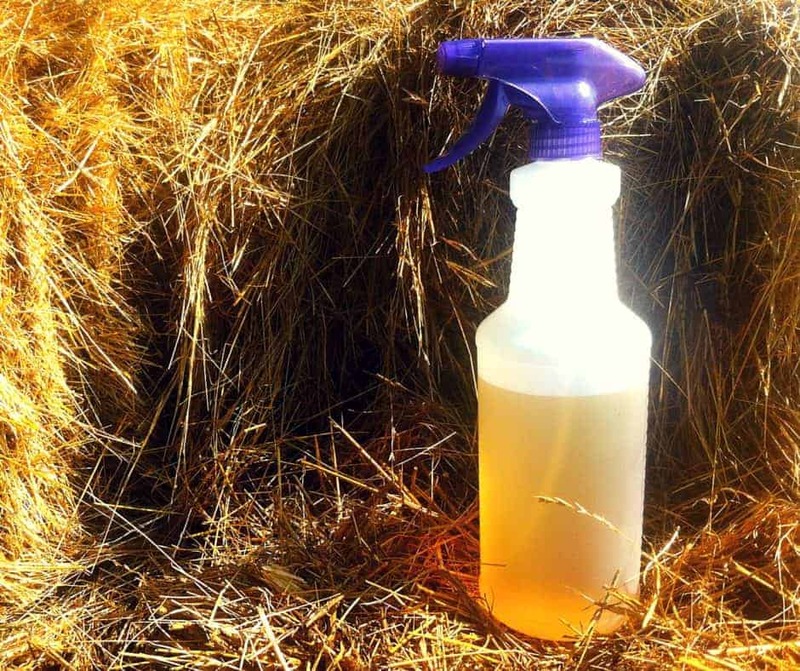 Want a natural alternative to chemical-filled bug sprays? Here's a recipe for natural fly repellent you can make in your own kitchen - today. Is this safe for pets, also? 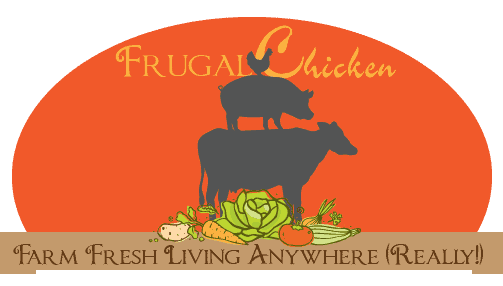 Yes, I use it in my chicken coop. It should be okay for other pets too. So, I have the essential oils, lavender and peppermint. Do i still have to add the witch hazel to make it effective , and can i just put it in my spray bottle? You don’t have to add the witch hazel if your body can handle them neat, but it helps with spreading out the application of the oils, and you’ll use less oils too. Hi. Will having lavender and peppermint plants around the house keep flies away? I seem to have a neat influx ôf flies lately. They can to a certain extent. I’ve found essential oils to work better because they’re more concentrated. Another good one for flies is citronella. I’ve been spraying our horses every day with it because the bugs are so bad right now. Hope this helps!